In plain terms, we help accredited investors Earn More and Live More, because they get to Keep More. Multifamily Investing not only offers exceptional returns, but also allows for intelligent tax strategies which lets you KEEP MORE of what you earn. Ask me about how you can use your IRA to invest in real estate! Class B Multifamily apartments are typically occupied by a growing and underserved population–working, middle-class Americans. We look for already cash-flowing properties in high-growth areas. Then we make small improvements that have big impacts on the bottom line. Our stable occupancy rates typically result in steady, passive returns (our goals is an 8% minimum return.) We personally invest in every single project, right along side you. We underwrite for 75% occupancy, even though most of our properties have occupancies over 90% upon closing. This is not a REIT or a fund where you own shares. As a Limited Partner, you actually own a percentage of the property, which allows for incredibly generous (and legal) tax advantages. All of the benefits of owning rental property without the hassle! So, besides an above-average return, you also own a stable asset and the potential to defer taxes on the income. Besides a stable, passive investment that can earn exceptional returns, Holly also teaches her fellow investors who wish to learn the strategies she’s developed in a lifetime of real estate investing. Holly regularly partners with Ashcroft Capitol, owned by Real Estate investing mavens Joe Fairless and Frank Roessler. Indeed, some of Holly’s investors have gone on their own and syndicated real estate themselves. If you wish a safe investment with passive income, Invest with Holly. If you wish to learn the ins and outs of the business as well, Invest with Holly. First, you must be an accredited investor, and all of our opportunities are offered only to those that are prequalified and on our mailing list. So the first thing you need to do is get on our mailing list. We are constantly looking for new deals, and when we find them we jump on them. We can help you learn and get ready to invest so that we are ready to move when the opportunity presents itself. How much experience does MQ Ventures have? 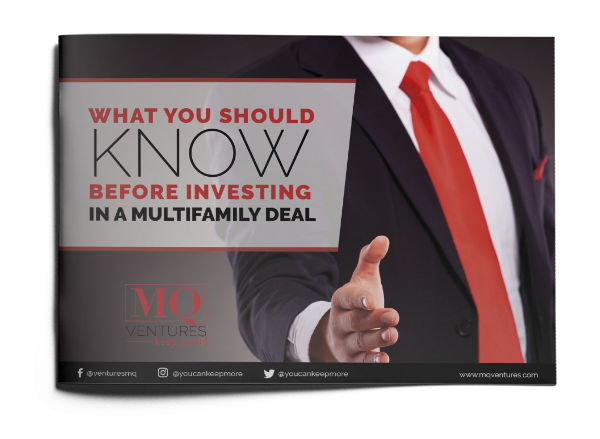 MQ Ventures has been in business since 2014, and currently is a General Partner in over $100M Multifamily Real Estate assets throughout Texas, Mississippi, and New York. Holly has been involved in Real Estate for more than three decades. What is the Minimum Investment, and What Kind of Returns are Possible? The minimum investment is $50,000. We strive for 8% preferred returns with an 18% IRR. All of our projects to date have achieved or exceeded those metrics.  Can Anyone Invest With MQ Ventures? No. You must be an accredited investor. See Investopedia’s definition here. My Financial Advisor, (and an occasional lawyer or two), told Me not to do this. The paperwork says it’s risky too! Why? Real Estate Syndication is not a regulated investment vehicle (which is why only experienced, accredited investors can participate). Not fair, but it’s what the .001% are well-versed in, and the rest of us don’t even know about the party. We generally offer better returns than he or she will, and we certainly offer better tax shelters. Next time you have some free time, read the terms and conditions of any mutual fund. The first time I did I wanted to run far away. Conversely, we’ll tell you exactly what’s in ours – it’s the same investment we offer you. We walk the talk. The IRS allows investors in real estate investment property to expense a portion of the purchase price and capital improvements made to the property through depreciation expense. Consult with your tax advisor, but typically this depreciation adjustment allows investors to reduce taxable investment income, more often to an amount below that of cash flow paid to them during the year. ​Further, when an investment property ultimately is sold, investors are generally taxed at a lower capital gains tax rate. Investors can then often take advantage of another tax benefit called a 1031 Exchange, and further defer taxes. Do I have to manage the property? Most partnerships are created by General Partners who put the project together, take responsibility for the management and upkeep of the property, and assume most of the risk. A majority of the investment is then sold to the Limited Partners. Limited partners are not active in the management of the asset, yet receive the investment benefits of real, income-producing property. Need some more resources about real estate partnership?